New Brunswick Scientific Celligen Plus Batch Continuous Cell Culture Fermentor . New Life Scientific, Inc. 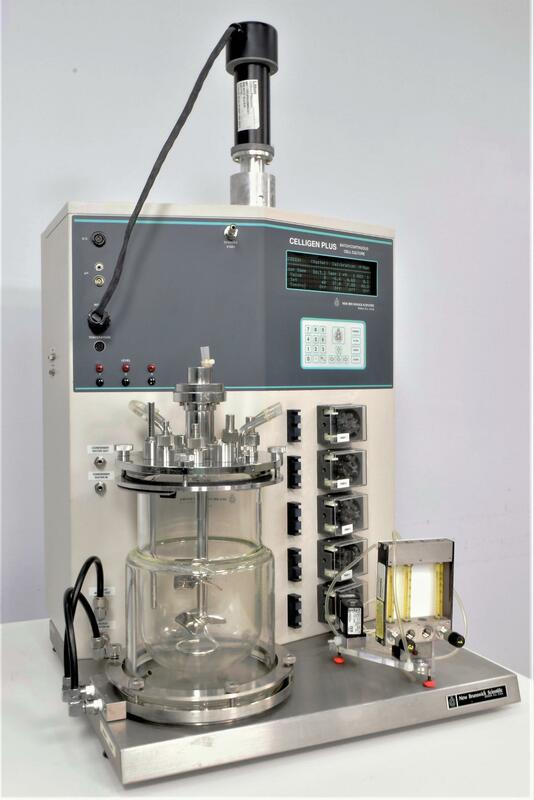 This single-use stirred tank bioreactor has been the standard for culturing all types of submerged cultures including suspension and anchorage-dependent mammalian, insect, yeast, plant and microbial cultures. The Celligen Plus is designed to offer flexibility and reproducibility, which will enhance productivity and provide cost savings in process development. New Brunswick is a well known company that has been around since 1946. - Tested the pumps and motor. Our in-house technician inspected and tested this New Brunswick Scientific Celligen Plus Ferment0r, confirming it to be functional. Technician tested the feed pumps, agitation motor (spun at various speeds) and the solenoids, all are in good working condition without any issues.